The reports of fire at Paris’ Notre Dame Cathedral has left everyone in a state of shock. Be it the commoners or personalities from across domains, the destruction of the historic monument drew responses from all around the world. The social media platforms are flooded with messages of grief. 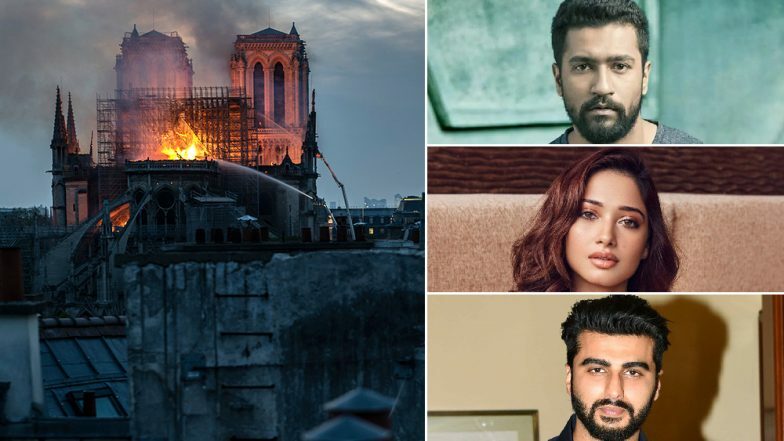 Celebs such as Vicky Kaushal, Tamannaah Bhatia, Arjun Kapoor, Raveena Tandon and many others from the Indian cinema have voiced their heartache on seeing the Notre Dame Cathedral getting destroyed in flames. Notre-Dame Cathedral in Paris Goes up in Flames, Know the History And Facts of Famous French Tourist Attractions (Watch Pics and Videos). Innumerable French fire fighters worked to put out the flames. There is no clarity on how the fire started and neither there are reports of any injury. The onlookers have shared pictures and videos of the Notre Dame Cathedral burning down in flames. As per reports, two-thirds of the Cathedral’s roof have been destroyed in the fire. 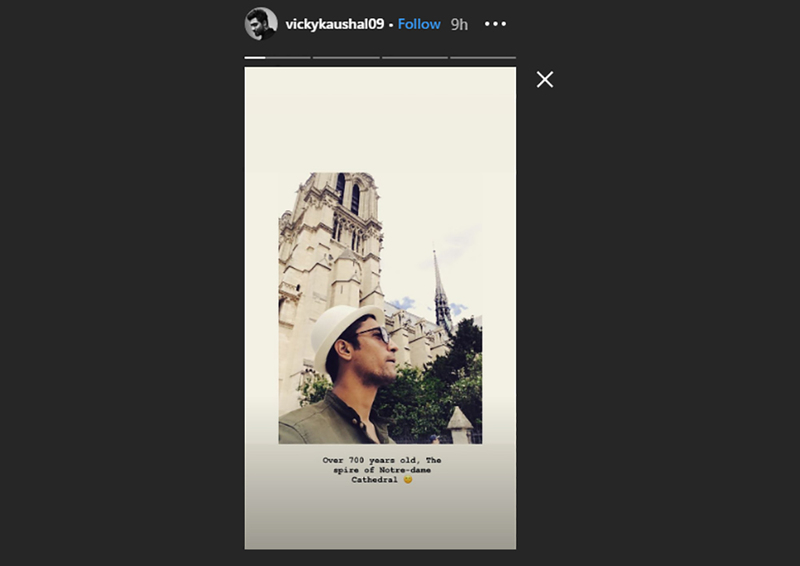 Take a look at the messages shared by celebrities: Paris Fire: Firefighters Battle to Save Iconic Notre Dame Cathedral. The fire has taken place during the Holy Week and that has broken many hearts. French President Emmanuel Macron has vowed that Paris’ Notre Dame Cathedral will be rebuilt. An international fundraising campaign will be launched to rebuild it. Stay tuned for further updates.